Obudu is a popular name on people’s lips in Nigeria. However, even with how popular this destination is, there are still a couple of things that are misconceived or unknown about the place. To fill in the gap, Jumia Travel, the leading online travel agency, shares five things you probably didn’t know about Obudu. Once the name ‘Obudu’ is mentioned, a number of people assume it’s the Obudu Mountain Resort that is either being referred to or being shortened to the form ‘Obudu’. However, this is not always the case. Obudu is actually a Local Government Area and town in Cross River State, Nigeria, that features the Obudu Mountain Resort (formerly called Obudu Cattle Ranch) among other features and recreational facilities. The town of Obudu is downstream from the Obudu Dam which provides recreational facilities for people in the area. The dam is located within the Obudu crystalline basement plateau and was commissioned in 1999 for use in farm irrigation, fishing, and for recreational and tourism purposes. 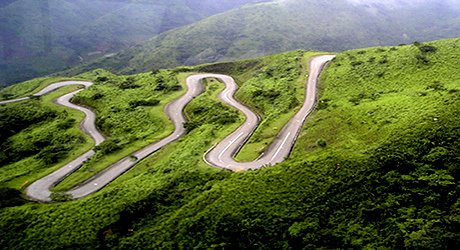 The Obudu plateau is found on the Oshie Ridge of the Sankwala Mountain range in Cross River State. The Obudu Mountain Resort (formerly called Obudu Cattle Ranch) was developed on this plateau. The plateau is found in the Obanliku local government area of Cross River state and is a giant massif spread over an area of over 40 square miles and rises to about 5200 ft above sea level, with its peak reaching to a height of about 1,716 metres above sea level. The plateau is known to a habitat of rare species of birds. It called the Obudu Ranch International Mountain Race and it’s an annual mountain running competition that takes place in late November in Obudu. The race is known as the ‘World’s Richest Mountain Race’ because it has the largest total prize money available of any mountain race. The race is an associate member race of the World Mountain Running Association (WMRA) and endorsed by the International Association of Athletics Federation (IAAF). However, in 2015, due to huge financial challenges the government of the state indefinitely suspended the race. The Airstrip is called Bebi Airstrip. It’s an airstrip serving Bebi in Nigeria and it also serves as the airport for the Obudu Mountain Resort. It’s runway is 18 kilometers east of the town of Obudu and the airstrip primarily serves as the aviation gateway to the Obudu Ranch resort. This makes Cross River state the only state in Nigeria with a flight route connecting two operational airports within the state.